Mary Parsons was given her first set of golf clubs at the age of three but didn’t really take up the sport until she was eleven years old while living in Guam. She moved with her family to Delta in 2012 at first playing at Delta Golf Course and then at Mayfair Lakes Golf Club. Mary played on the BC team at the 2014, 2015 and 2016 Girls Junior America’s Cup. In 2016 Mary had thirteen Top10 finishes. Her 2016 season was highlighted with four first place wins including the 2016 CN Future Links Pacific Championship and the BC Junior Girls Championship. At the Future Links, Mary shot a 66 setting a new women’s course record. Other notable accomplishments include finishing second at the BC Women’s Amateur Championship and the BC High School AA Individual Championship plus a third-place finish at the Canadian Junior Girls Championship. Accolades for Mary in 2016 were a nomination as Sport BC Junior Female Athlete and winning the Golf BC Junior Girls Order of Merit, the Canadian Junior Girls Order of Merit and placing second for the Golf BC Amateur Women’s Order of Merit. The year culminated with her selection to the Team Canada National Development Squad. 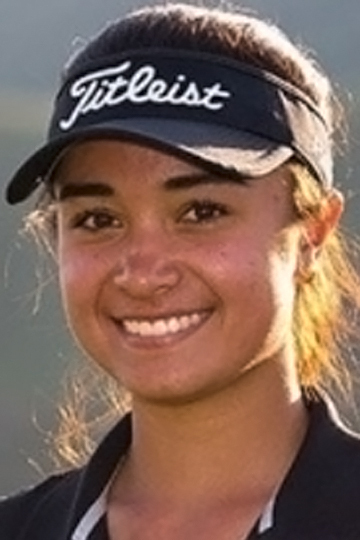 Her winning ways continued in 2017 with victories at the Future Links driven by Acura Pacific Championship followed by a first-place tie at the BC High School AA Individual Championship. This is the first time a female has placed first at this mixed gender tournament. Mary placed second at the US Women’s Amateur Qualifier tournament and the Canadian Junior Girls Championship. She played soccer before golf and Mary believes, “… her athletic foundation made the transition into golf easier.” Even though she is a big hitter, Mary’s greatest strength could be her putting and her belief she can make birdies from anywhere on the golf course. Mary credits her Dad for helping her reach her potential and wants to thank Golf BC and Golf Canada for the opportunities and support she has received. Mary graduated in June from St. Thomas More Collegiate. She is currently attending the University of Indiana on a golf scholarship and plans to pursue a degree in either medicine or business. We congratulate Mary on her selection as Youth Athlete and wish her all the best in her athletic and academic pursuits.